Who is Tony Bellew's opponent Oleksandr Usyk? Oleksandr Usyk and Tony Bellew go head to head in Manchester on Saturday, with the Ukrainian's status as the undisputed world cruiserweight champion on the line. The 31-year-old holds four belts and has never been beaten, representing a huge task for veteran Bellew. The undisputed cruiserweight champion is a big man, but he is quick, with good movement, and lands flurries of punches. Crucially, too, Usyk is a southpaw. That adds up to make him a real problem for Bellew, who has struggled previously against southpaw fighters such as Adonis Stevenson - the last man to beat the Briton. 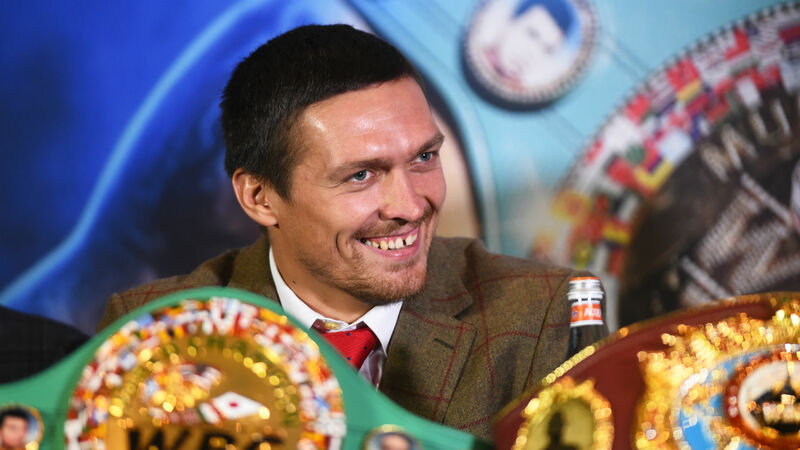 Usyk's professional career may only be 15 fights old - all wins, 11 knockouts - but his status as a WBA, WBC, IBF and WBO belt-holder should give an indicator of the man's prestige. If that was not enough, his reputation grew further following his last win against Murat Gassiev by unanimous decision. That victory saw him win the inaugural World Boxing Super Series and Usyk also has an Olympic gold medal from London 2012. The Ukrainian's wide-eyed glare may well portray him in that way and he hammed it up for an entertaining face-off with Bellew earlier this year. The Briton responded: "He can give me that crazy Ukrainian look, so I just gave him a crazy Scouse one back."